The Bottle Sleeve fits most wine bottles, and is ideal for blind wine tasting events at your home or at wineries. Keep your shades in sustainable style! Won't fade or crack when exposed to the sun. The sardine is a national symbol of Portugal and one our favorite dishes. 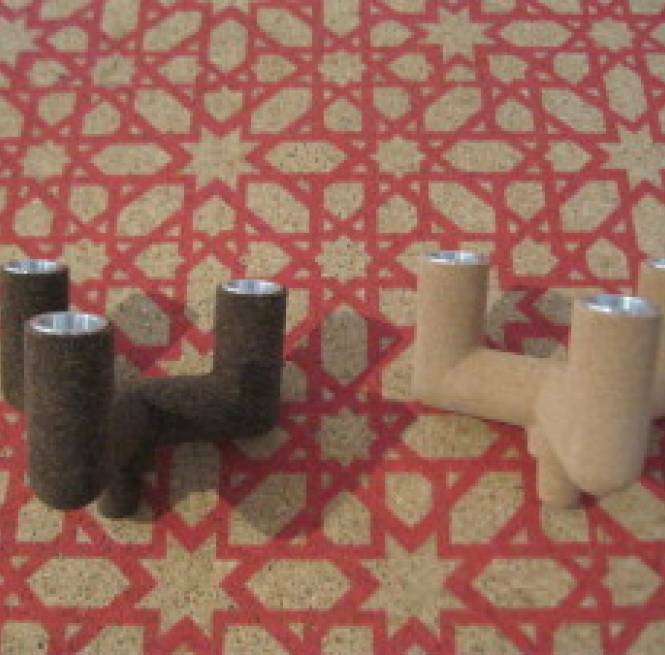 Make an unusual gift! Our placemats will coordinate with most kitchen dining room decors. Crk wipes or scrubs clean easily with washcloth or small brush. This handbag is more compact, smaller version of our Large Shoulder Bag. One of our most practical and super lightweight everyday bags. 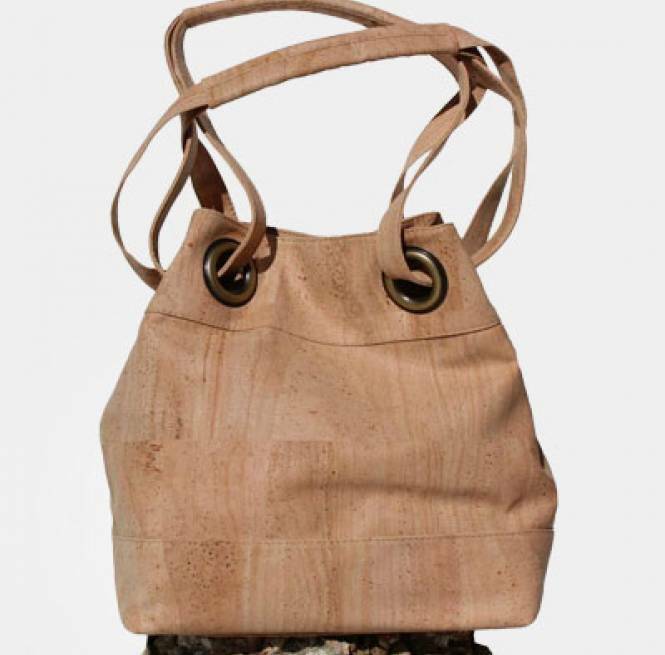 Cork dual shoulder straps with comfy padding, brass-toned grommets and hardware. A classically styled mid-sized handbag for everyday. One of our personal favorities, his model is practical and sooo easy to carry! Stand out from the crowd at yoga class with our awesome yoga tote- it's sturdy, yet lightweight, waterproof and stain resistant. Our multi-use "long pouch" offers roomy capacity for whatever you'd like to use it for: makeup, toiletries, jewelery, art supplies, ect. Our medium sized "bucket" style bag is roomy, yet compact, and so easy to carry as a cross-body style. 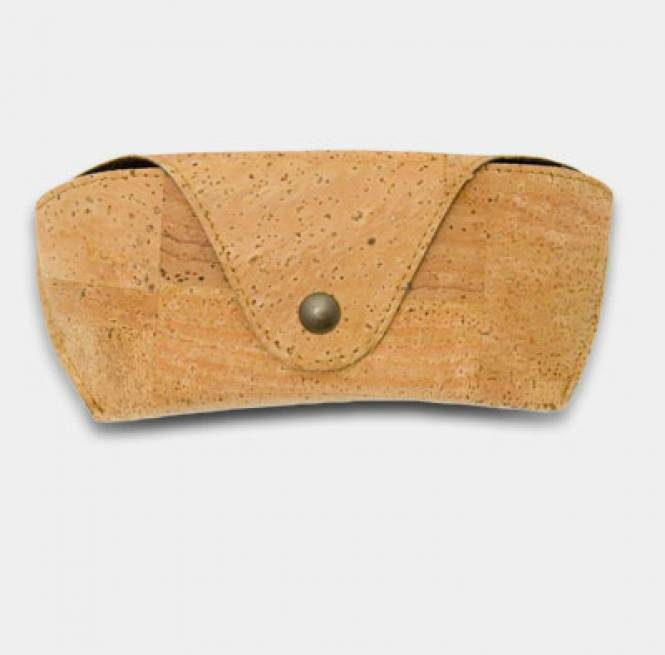 This jaunty visor, made of lightweight water-resistant cork, is unisex-either men or women can wear it on the tennis court, golf course to to the beach or hiking.